sorry, I was so sure that there hadn't been a topic like this until now that I didn't bother searching before starting this that will teach me! Other than that it seems Princess Evangeline is mentioned by a lot of people so that must be a pretty good one it seems! I think the title says it all. 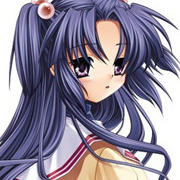 The reason I am asking is that I am considering reading Clannad again. It was the first VN that I read and it really got me into the genre. I have very fond memories of it but I keep wondering if it's only because it was the first one I played or because it was really that good. Also there are so many other titles that I want to read that it kinda feels like wasting valuable reading time. So I wonder: have you read VNs twice? And if yes, did the second reading change your opinion about the VN? Honestly, I can see nothing wrong with VNDB: I find it a truly amazing site and hard to believe that so many VNs are covered in an easy to look up way. There are so many trash VNs out there that I surely would have given up on VNs if not for that site. Since I don't use VNDB on mobile devices there is not a single thing I can complain about. I hope the site continues to exist as long as I read VNs And if you are really not sure about the rating of a VN try the VNDB profiles of Fuwa members like Clephas said and see how they rated it. I do that a lot to get an even better idea! Care to explain your answer? I haven't been on this forum for very long but I think the OP has some valid points. A translation should usually pay off if you consider how much more of a potential there is outside of Japan that you can reach with an English translation. And if the audience gets bigger woudln't it be good if you had already made a name with it? But perhaps this is just naive? if so, why? I have 2 very memorable experiences. 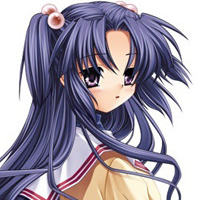 Clannad: While this game has been mentioned a few times because it has so many tear jerkers, well... that's true, of course. But the reason I remember this VN especially (except for the reason that it was my 1st VN) is that it was the only VN so far that made me shed tears by of laughing. Generally the baseball route is extremely funny but then there was this one scene involving Yoshino Yuusuke. And after that I couldn't stop laughing for minutes! I wonder if anyone knows what scene I am talking about Muv-Luv Alternative: This VN including it's prequels was mega epic per se but then (trying not to spoiler) there is this scene when they finally reach 'the antagonist' and this was just sooooo scary in many ways. All the revelations were like 'WHAAA! ', the antagonist looked really scary and the music fits that epic encounter perfectly. I have a saved game at this point and still load it every now and then when I seriously want to get the chills. I found the BETA even scarier opponents than the members of the Longinus Dreizehn Order in Dies Irae (and these are already remarkably evil). I am very much with Nandemonai here. Even if I blot out all the h scenes I simply cannot find much sense in the story. And the fact that the true route made all others more or less obsolete just added to the frustration. Many disgusting h scenes + an utterly senseless story makes this my worst VN reading experience so far. I am currently reading this and playing the Steam version. I must say there are quite a few pervy jokes in there and I would not have realized that anything was censored so far. So it will probably be the same in the sequels I guess? It happens to me, too. I usually try to read only one VN at a time. But sometimes I get distracted by other games that are not VNs. This usually happens when I read VNs that don't appeal to me that much. Then I might have longer breaks (perhaps up to 2 weeks). But in the end I still continue and finish them. I am pretty proud that I finished every VN that I started so far (with one exception but that was because it was in Japanese and I wanted to get better at that language before continuing it). I know that if I started a new exciting VN while reading a pretty boring one then I would probably drop it altogether so I avoid that at all costs. and yeah! Time's always too short! Really? Actually I am thinking quite the opposite: that the MC is quite obviously overpowered and way above average. Surely, he is weird enough at times that you can easily see why he goes to school with these others strange pupils but other than that I can see nothing average about him. But perhaps I am just not far enough in the game yet. Well, you review Sakura games and judge them accordingly. Nothing wrong with that And well, what's so wrong about DDLC? Why is everyone hating it so much? I found it quite a successful experiment. Welcome to the Fuwa forums! As you can see from my name we are kinda like neighbours I haven't read Katawa Shoujo yet but I am sure I will someday. Enjoy your stay here!